This is an outfit combination you have seen countless times. On one hand I thought "why bother"...but then on the other I realised that I just like the shades and the individual items featured so...bother I will! This is what I wore for afternoon tea at the Ritz Carlton. It is a very genteel hotel so I tried to channel a bit of pastel prep for the day. It felt right. So out comes my favourite ever Zara skirt, my favourite ever ASOS shirt and my new Topshop blazer. White, pink and blue....it felt fresh. The blazer is, as ever, a recommend. It's one of those blazers that actually feels like decent value for money - and that's not always the case in Topshop. It's powder pink and made of stretchy ponte fabric to fit close to the body. I ordered the Petite version as I like a cropped arm and length but they do this in Tall as well if you want a longer line. I am quite looking forward to wearing this with dark denim...it's interesting that this is part of their Autumn/Winter line but I think a soft colour like this can do a lot of favours in colder climates when clothes are deep, dark and sometimes too harshly toned. Apart from the blazer the highlight was CAKE and classic scones with a wicked amount of cream. Book wise I have been slacking a bit. I finished Landfall and the ending had me so disappointed. It was crafted to lead up to some big reveal and although it was macabre it was just...disappointing. Now is Good however is a fantastic read. It's one of those books you start on page 1 and immediately know that you will read in a flash. Don't be put off by the subject matter - a 16 year old dying of cancer doesn't sound appealing but the story is well-paced and the characterisation good. I have actually laughed reading it and I will almost certainly cry by the end. It's an emotional roller-coaster and THIS I recommend. Happy Tuesday all! After a 10 hour day I am EXHAUSTED! 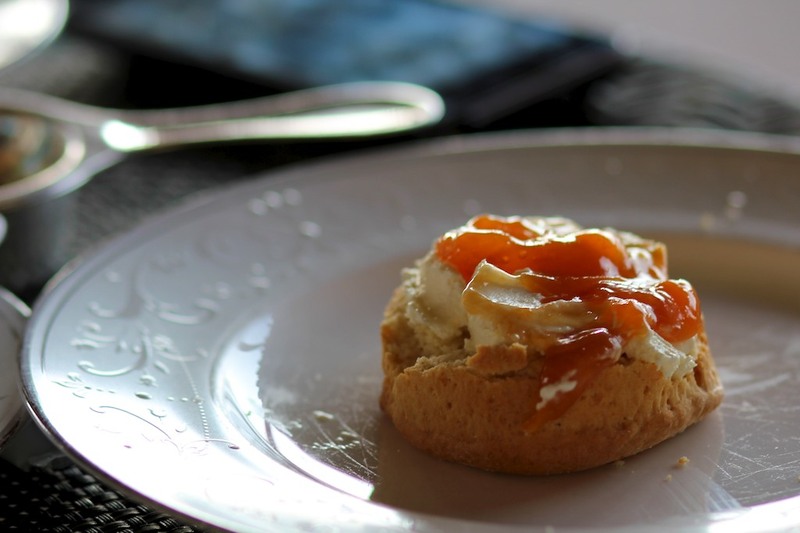 I love this post as I had been to two afternoon teas last week and now I want another one haha! ooh where did you go? The Claridges one remains the best....closely followed by Charlotte Street Hotel. That Zara skirt is my favourite. One of the best purchases of the year I reckon! You look so stylish, and I'm in LOVE with your bag! So classy and chic Laura! Loveee the shirt, the colour is so pretty!! Beautiful look and combination! Love your skirt! Laura, you look so stylish as usual. wooow! I LOVE YOUR OUTFIT :)you look amazing ! I love this blazer but I can't justify paying that price. Very nice outfit ! Live the skirt ! Great outfit and those little desserts look delicious!! Oh, cheez .. forget the outfit .. let me at the desserts !! 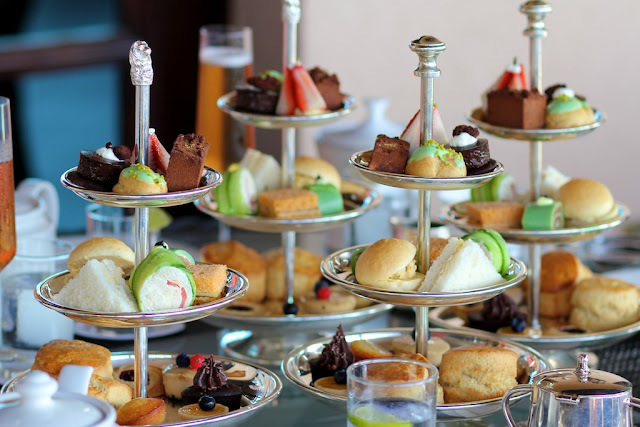 The Westgate Hotel in downtown San Diego has an afternoon tea and I have always wanted to go .. seems like such a nice lady like thing to do vs. hanging out at a coffee shop, nose buried in a laptop. I missed on that ZARA skirt and I am so sad about it. It is so cute! The food looks amazing! what fake tan are you loving right now? Looking lovely! I've been to the ritz Carlton afternoon tea numerous times love it so yummy!! Did you see the gingerbread house they made last year at Christmas?x ps. Which tan you on it looks fab! Hotels in San Diego - Discover the lowest prices on luxury hotels in San Diego. Book luxury vacation deals at 5-star resorts at the best rate, and save with Luxury Link. A giveaway is coming soon to my blog!!! Love your skirt! So glad I found your blog! it’s time to focus on New Year. The day of New Year is not as simple like other days but its time of new beginnings, fresh starts and promises for bright and successful year. At this time, Best New Year wishes 2017 are the best way to convey our sentiments and love words to our beloved ones. Great share, appreciate your effort. Snapchat is a red warm instance of what does it cost these online video clip snapchat login Snapchat is just one of such applications which made its area among. This is really a informative article and great read for me. It’s my first visit to your website and I have found it so useful and informative specially this article. I have bookmarked it and I am looking forward to reading new articles. Thanks for this article. Keep up the good work!! Also check Bangladesh PSC Result 2018 All Education Board. Thanks again.